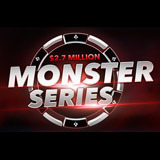 Monster Series Party Poker - Play for more than $3 million in guaranteed prize pools this week at PartyPoker. From the 28th October until the 4th November there are daily guaranteed events running on the Party Poker Monster Series tournaments. Players can win tickets to the series by playing satellite tournaments or buying in directly from $2.20 up to $33. There are also several ways where players can win a tournament ticket worth $5.300 to play the Millions online tournament. The Mental Game of Poker is a new video series by Jared Tendler and proudly sponsored by 888poker. 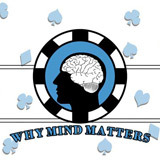 Get free mental poker coaching and get your head into the game, become a more focused poker player with some great advice from author Jared Tendler. This poker video series is jam packed with advice on how to deal with certain situations at the poker table both live and online. Double your deposited amount up to $400 when making your first deposit at 888poker. WSOP Europe 2018 satellites are running at PartyPoker, play your way to Main Event for a buy-in of only $3.30. WSOPE Rozvadov offers 10 bracelet events with a €5 million guaranteed Main Event at King's Casino Europe, Rozvadov, Czech Republic. The WSOPE Circuit series takes place from September 20 - October 8 just before WSOPE series which starts October 9 - November 2. 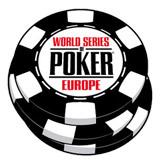 Play the daily WSOPE satellites and win your entry into the biggest poker series in Europe. 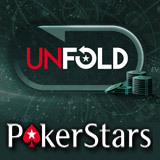 Unfold Holdem Poker is a new poker game on PokerStars where players can win a pot even after they have folded their hand pre-flop. Ever kicked yourself for folding your hand pre-flop only to see that you would have hit the nuts by showdown? Well then this is the poker game for you. With Unfold Holdem Poker, player pays the unfold ante each round. This builds a pot for the winner who has the best hand at showdown regardless if they folded. Take part in the Eden Hazard Poker Series for a good cause and you'll be contributing to the One Drop. You could also get to play poker against the football legend Eden Hazard. 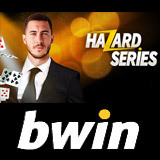 Play the weekly Freeoll on Sundays at Bwin Poker where the weekly winners will be playing poker on the same table as Eden Hazard. Bwin Poker will be donate €1 to One Drop for every player that enter the freeroll tournament each week.